This document describes the usage of kamailio in a dynamic, multi layer and containerized environment with and external orchestrator that is able to force a custom dynamic list of dispatchers to a running kamailio node. As you can see this router has a proxy on top with setid = 2 and two TPS nodes beneath with setid = 1. We’re then using the xhttp module to be able to trigger the dispatcher list reload route from the orchestrator. Some kamailio pod in our infrastructure have two network ports, one local and one public. For security reasons we’re listening to the port 80 only on the local network interface. Thus filtering the request by that port gives us the security that the orchestrator is making the call. Our DISPATHER_LIST method will then handle the API query for the new list of dispatchers and reload the list via rpc. So at this point we have Kamailio ready for handling the dispatcher reload RPC call that first refreshes the dispatcher list got from the API. 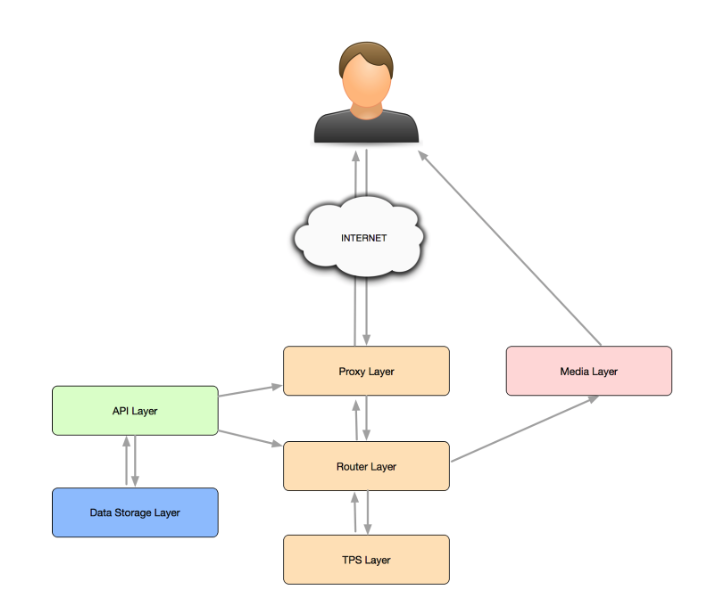 Now let’s take a look at how we managed to send the request via our API written in JS. As you can see there’s a also a simple function RPCException that formats the logs with additional information ready to be sent to Elasticsearch. 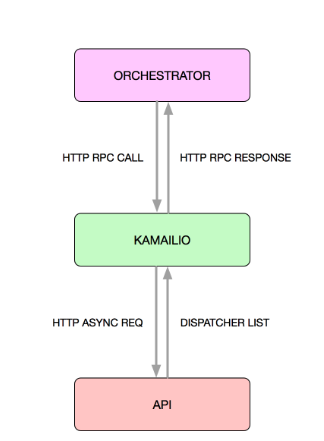 So at this point we have a port 80 exposed for the orchestrator to make a RPC call via HTTP that triggers a kamailio route which enquiries the API for the actual dispatcher list. If there is any error in the process we will handle it on the orchestrator side (retry, deletion, creation of new instances, etc. ).